Paddy’s Whiskers regularly provide ceilidh and barn dance workshops for folks of all ages and abilities across Devon, Cornwall, Somerset and the South West. Workshops are suitable for schools, workplace team building, festivals, open days, weddings and parties. Less high-paced than our usual evening dance parties, a workshop gives participants of all ages the chance to relax and learn the dances together. Our regular caller, Ali Richards has years of experience running workshops in both the arts and dance both within adult education and at festivals and parties. 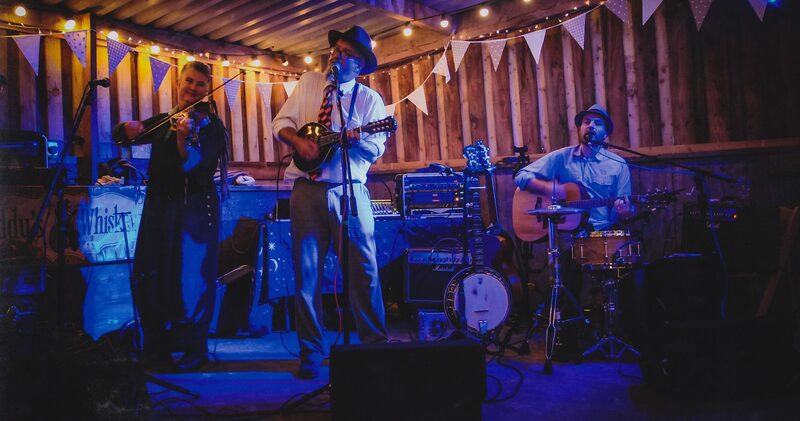 Backed by Paddy’s Whiskers’ own style of contemporary folk dance music – everybody is sure to have a great time. Why not book a ceilidh workshop for the daytime, and follow that with a full blown footstomping barn dance in the evening? To discuss booking Paddy’s Whiskers to run ceilidh or barn dancing workshops ring Andrew or Jules on 01803 520798 / 07514064558 or email us.